Almost 14bn cu.m. is still in stock. From the beginning of the heating season that started on 13 October to 26 November, Ukraine has used 996.36m cu.m. of gas and now has 13.7bn cu.m. of gas in underground storage facilities, according to the operational data of the country's gas transport system operator, Ukrtranshaz. 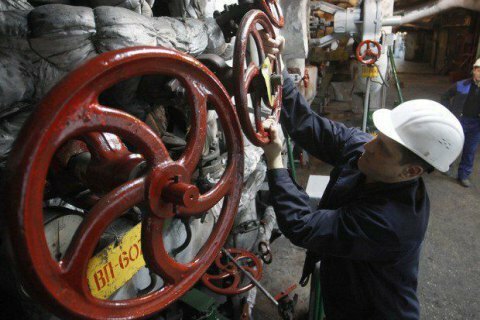 The national oil and gas company Naftohaz Ukrayiny previously said that there is enough gas in stock for the heating season of 2016/17. The company's technical capabilities allow for extra imports in the event of a severe winter, the company said. According to Naftohaz's estimates, by the end of the heating season 7bn to 8bn cu.m. will remain in stock, well above the minimum requirement of 5bn cu.m..
Ukraine entered the previous heating season with 17bn cu.m. in stock and finished it with 8.4bn cu.m.